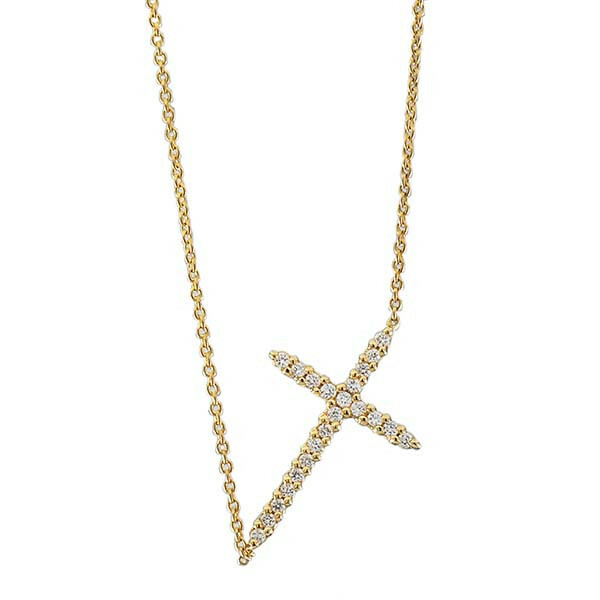 Celebrate your faith by wearing a Roberto Coin sideways cross pendant necklace. This beautiful piece of jewelry comes in 18kt yellow gold and is lined with stunning diamonds. 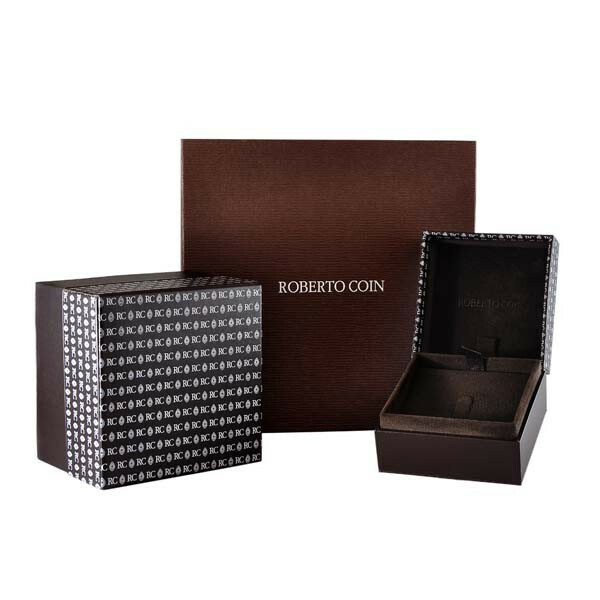 The adjustable chain makes this a trouble-free gift for a special someone or simply a beautiful piece for your own personal collection.